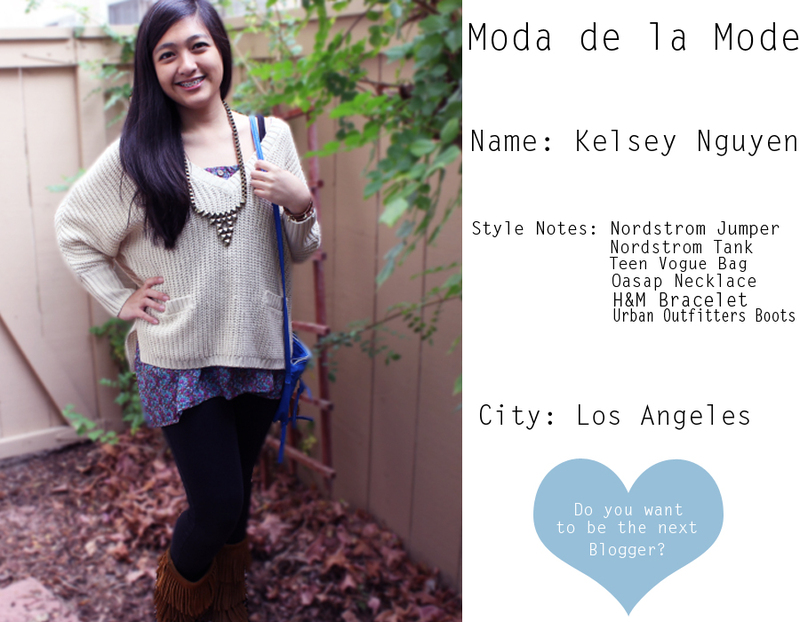 Kelsey Nguyen is the blogger behind the blog Runaway In LA. The array of outfit posts and the mix between catwalk and high street makes her blog stand out in the over saturated blogosphere whilst promoting her as the perfect candidate for the Blogger Style feature. Her personal style reflects the laid back, boho glamour of the west coast and the layering of different colours and textures makes this look dynamic and fresh. Hi!! You have a lovely blog!! I'm living in London since April and I'm very excited because I love city!! I follow you now! I hope see you one day !